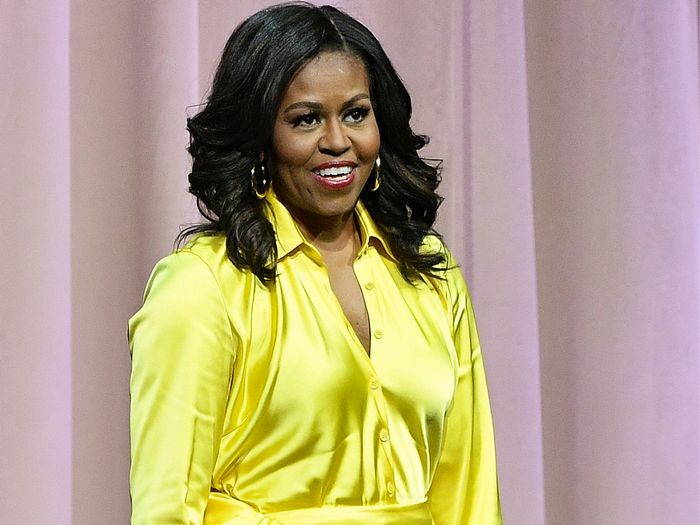 Michelle Obama is currently on a promotional tour for her new memoir, which means we get to revel in near-daily new outfits from the stylish former first lady. Until yesterday, she set a clear tone for her tour looks: It's all about the power pantsuit. In fact, she's already worn eight different versions, each one chicer than the next. 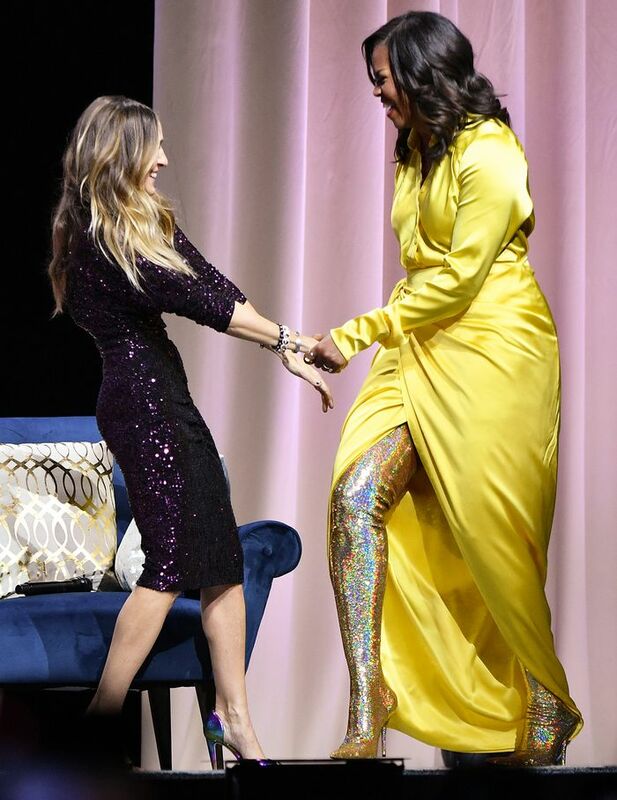 But her latest look threw us for a loop in the best possible way: She wore a bright yellow Balenciaga dress with glittery, thigh-high legging-boots also by the brand—and we couldn't be more obsessed. Earlier in her book tour, she wore a custom Karen Walker denim suit as well as a crisp all-white pantsuit. Last month, Obama wore a custom pinstripe Jonathan Simkhai set for an appearance on Good Morning America and a bright blue suit by Akris for a roundtable discussion in Chicago, and we have a feeling she has plenty more impossibly chic outfits for the remainder of her tour. Her White House style will always have a place in our hearts, but her recent outfits are proving to be just as memorable. Scroll down to see every look she's worn on her book tour so far.